Are you in need of Receptacle Installation & Replacement for your home or business? The professionals at MP Electric are here to help! We offer simple, professional receptacles installation options for projects big and small. There are a number of types of electrical receptacles available. Electrical receptacles include electrical outlets and other electrical inputs in your building. Whether you are only looking to add an outlet or two, or have a much bigger project, we can help. We are proficient in working with a number of custom outlets, sockets, and receptacles, give us a call to learn more! If you are in need of electrical outlet installation for a new addition to your house, check out our building addition services for a number of related services useful for you. 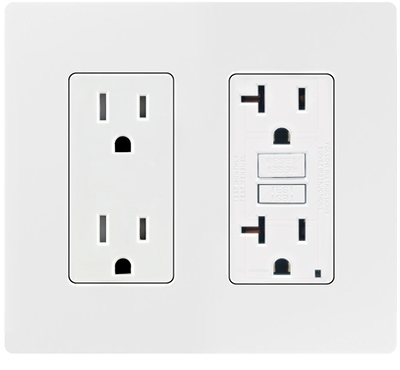 There are many different types of electrical outlets, and vary in style and functionality. It is important to use industry standard electrical outlets to prevent electrical failures. Have a question or inquiry regarding our electrical outlet installations? Give us a call today and find out more. Our staff are always happy to speak to clients to provide information useful for your project.